It was a day of gratitude and hope at the 2018 Prouty. Photo by Bruce Denis. 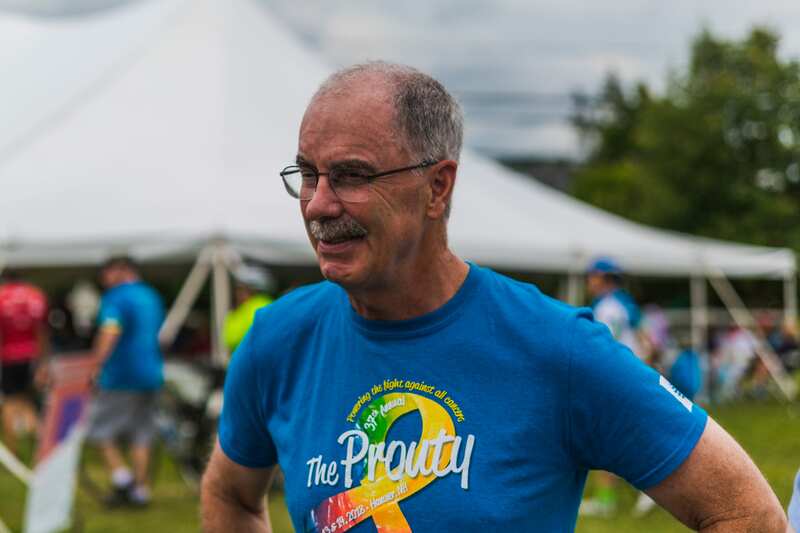 As Gail and I rode the 50-mile bike route in the Prouty a couple of weekends ago, it was heart-warming to meet so many Dartmouth students, faculty, staff and alumni along the way. We joined together that day with shared purpose – to recognize and support the scientists, clinicians and patients of the Norris Cotton Cancer Center who together are leading the fight against cancer. 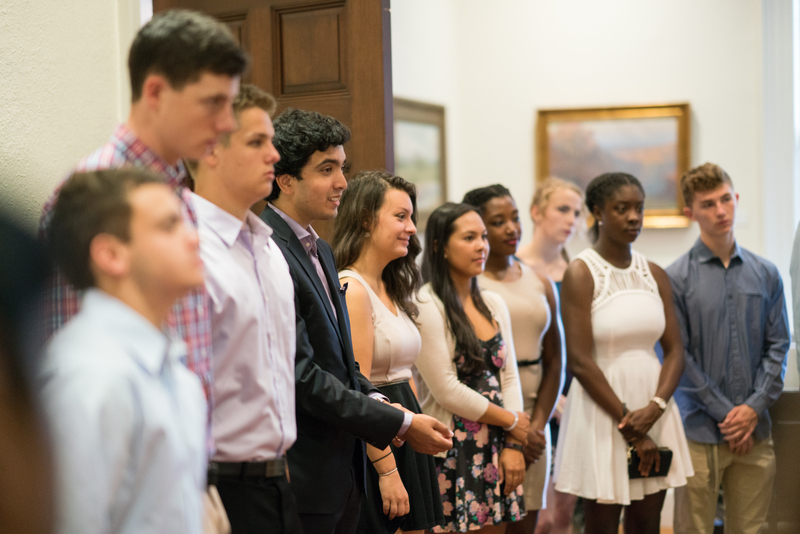 At Dartmouth, we hail “a profound sense of place” as a hallmark of our institution. 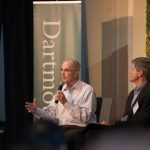 In doing so, we often talk about the ways in which Dartmouth’s singular setting forges community and builds character. The amazing beauty of the north woods inspires and humbles, reminding us that there are much grander things in life than ourselves. The challenge of those cold February mornings and the serenity of sophomore summer are shared experiences that bind us together. At the same time, the welcoming towns of the Upper Valley, with their outstanding schools, safe environments and easy access to the outdoors, help Dartmouth attract and retain high quality faculty and staff. Indeed, the Dartmouth experience is enhanced and differentiated by our profound sense of place. Gail Gentes connects with fellow participants at the 2018 Prouty in Hanover. Photo by Herb Swanson. This place is defined not only by the ways in which we draw benefit from our magnificent setting, but also by the ways in which we give back. The Dartmouth campus is an artistic and intellectual hub for the Upper Valley. The same weekend of the Prouty also featured a major conference celebrating the 25thanniversary of Cornel West’s Race Matters, as well as a sold out advanced screening of Ken Burns’s documentary on country music. Dartmouth’s Division I intercollegiate athletics bring great pride to our local communities. As one of the state’s largest employers, Dartmouth contributes robustly to our local and regional economy. Together with its trusted partner Dartmouth-Hitchcock, the Geisel School of Medicine serves as a first-rate academic medical center, delivering advanced care to patients across northern New England. Beyond these highly visible contributions, the Dartmouth family has a long and distinguished history of helping those less fortunate than ourselves. At the 25-mile mark in our Prouty ride, I met Rose and Emma – two Dartmouth students who had taken time out of their sophomore summer to support the critical work being done at the Norris Cotton Cancer Center. They exemplify the notion of service above self while appreciating the profound sense of place that defines the Dartmouth experience. 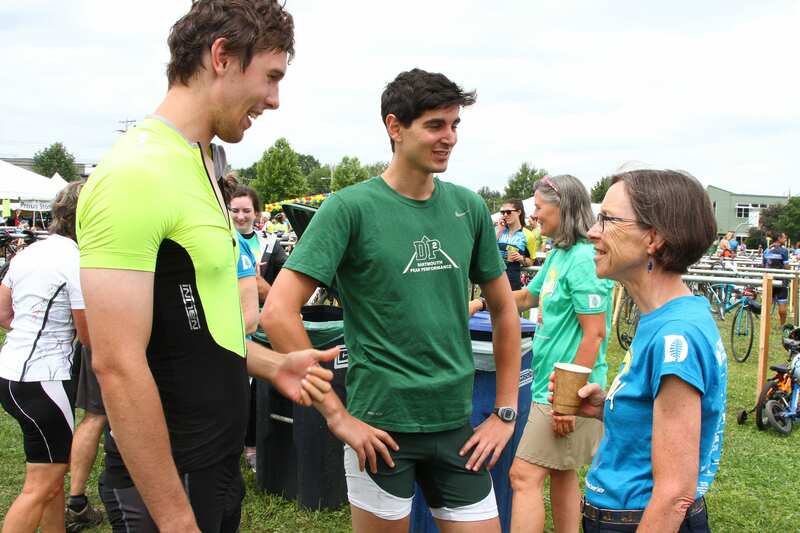 I have no doubt that what they took that day from a breathtaking 50-mile ride along the Connecticut River and what they gave back to the local community through their effort will stay with them long after their time at Dartmouth is through. I urge all of you, in the upcoming year, to join Gail and me in making a point to give back to the local community that perpetually gives so much to us. Whether it’s through projects sponsored by the Center for Social Impact, participation in events like the CHaD and the Prouty, campus-wide giving to Dartmouth’s annual United Way Campaign, or leveraging Dartmouth’s new staff policy of providing a paid day off for volunteer service, may we each do all we can to honor and support the place we call home. This fall, our brand new House Communities were brought to life, thanks to the truly extraordinary efforts of Rebecca Biron, Mike Wooten and their Student Affairs colleagues, as well as our Faculty of Arts and Sciences, the Provost’s Office, Campus Services, and countless other individuals and departments across campus who helped make them a reality for our students. It’s been great to see students congregating in their new House Centers, to hear of our outstanding House Professors hosting intimate dinners to discuss the great issues of the day, and to watch inter-House competitions unfold on the playing fields this fall, with School House claiming the first-ever IM House soccer championship, edging out West House in a hard-fought final. As we were preparing to launch the House Communities – the centerpiece of Moving Dartmouth Forward – I was consistently asked, by students, alumni and staff, why we were introducing a “new” residential model. To answer that question, let me start with a little history. When I was a Dartmouth student, back in the mid 1970s, residential life was quite different than it was when I became Dartmouth president in 2013. We formed strong bonds through student organizations – including the Greek system – much like we do today. But in addition, our dorm-mates and residence halls functioned as a family and home base. (For me that was Ripley Hall.) Dorms competed against one another in intramural sports, we debated issues great and small with our fellow residents, made lasting friendships, socialized together and developed a strong a sense of identity with where we lived throughout our four years in Hanover. Yet when I began speaking with students, either individually or in small groups, during the first three years of my presidency, it became clear that much of this had been lost. In so many of those conversations, students praised the strong bonds built in their dorms during their first year on campus, but mourned the lack of continuity in housing after their first year as a weakness in their overall residential experience. Indeed, as more and more students took advantage of the D-Plan over time, pursuing valuable study abroad, internships and off-campus experiential learning opportunities, we witnessed a slow and steady erosion of that dorm-based community, with a large portion of our student body having to change residences every term to account for the constant influx and outflow of students from campus. With the new House system, we’re not only recapturing that much-needed continuity and stability in our residential experience, we’re bringing that experience to entirely new heights. Through the addition of faculty and graduate student connections and an infusion of academic, artistic, intellectual and social programming determined, in large part, by the students themselves, our House Communities are making learning a 24/7/365 proposition and becoming a key part of our entire community’s social and intellectual growth. So, when Jane Hill, our House Professor at Allen House, tells me that an informal conversation she had with a ’20 from Allen the week before fall classes began enabled her to direct the student to a Professor at Thayer, where the two are now working together on their shared passion for biofuels….or when Dean Biron tells me about the lively and pointed discussion that took place between students, faculty and staff at a North Park House post-election analysis dinner with Professors Joe Bafumi of the Government department and Don Pease from English and American Studies, each of whom provided an interpretation of the election results from the point of view of his own discipline….I am reminded of the magic that can happen when the lines between living and learning are not only blurred, but obliterated. It’s exciting, to say the least, and we’re not even half way through year one. And while these early days of our House Communities will be characterized by a lot of experimentation and learning, it will only make the system better every year. Forty-three years ago, I was a first-year student at Dartmouth. It’s hard for me to believe it’s been that long since my Dartmouth journey began – though delightful for me to say that it’s still continuing today. Among my most lucid memories as a student are those of John Kemeny. He was, of course, Dartmouth’s president at the time, but he was also a professor in one of my classes. I remember him as a meticulous lecturer, very formal in style, and already the stuff of legend on the Dartmouth campus – known for having been Einstein’s assistant, having worked on the Manhattan Project. In fact, I was so overwhelmed by his image that I never worked up the courage to actually speak to him during my time at Dartmouth, though in hindsight, I wish I had! Yet here we are, in the fall of 2016, and I have the privilege of teaching that very same class – Math 20 – in a building that now bears his name. It’s truly an honor for me to teach at Dartmouth at a time when our commitment to undergraduate teaching is as strong as it ever was – and even sweeter to be teaching one of my most favorite subjects, which has also been the feature of some of my research. Probability is a true blend of basic and applied. Combining concepts from algebra, analysis and combinatorics, Math 20 fully features the beauty and elegance that have drawn me to pure mathematics. At the same time, it is a subject that comes into play, over and over again, in everyday life. When Professor Kemeny said, “The man ignorant of mathematics will be increasingly limited in his grasp of the main forces of civilization,” he was right, particularly when it comes to probability. Indeed, we see applications for it in nearly every field, from business and economics to politics and public health. It is used to predict behaviors and outcomes, like presidential elections, as well as to assess risk and make better and more informed decisions. In fact, there’s not a major league sports franchise today that’s not using statistical inference to make personnel decisions, design game plans and make real-time play calls – a concept brought to the forefront of American conscience in Michael Lewis’s book, Moneyball, and the impetus for a Sports Analytics class I co-taught with Michael Herron of our Government Department last fall. There are about 30-35 students in my class this term – a combination of upper-level undergraduates and some graduate students. The objective is to give them a framework in which to think about probabilistic questions. Questions relevant to their lives today like how to interpret election polls…including how to consider things like margin of error and the impact of decisions made by pollsters in analyzing the data. (Nate Cohn explained how the same raw data could yield different results quite brilliantly in a recent New York Times Upshot post.) And questions of more historical interest, like the decryption of an actual correspondence sent to General Gage by one of his lieutenants during the battles between the British and French over control of North America. There is no question that we live in an increasingly data-driven world. As a professor, I want my students to have an edge by knowing how to make sense of it all. Any time they hear an argument based on data, I want them to challenge the conclusions. I want them to ask questions about the factual basis and the statistical methods employed. For nearly 250 years, Dartmouth faculty have inspired their students to look at the world in new ways, to think about their lives differently. And I know that tradition is alive and well – I hear from students all the time about the life-changing classes that they’ve had here at Dartmouth. I experienced this first-hand as a student at Dartmouth. In Math 20 and any number of other courses across the curriculum, Dartmouth professors like John Kemeny had that kind of impact on me. Like John Kemeny, I hope to pay it forward to a future generation of Dartmouth graduates. It’s great to be back! Gail and I have just returned from two more trips to round out our summer travels: one to Peru, where we had the privilege of spending time with Carlos Rodriguez-Pastor TU’88, one of our newest Trustees, and meeting with education leaders and alumni living and working in Peru, and the other to San Francisco, where I took part in the Dartmouth Entrepreneurs Forum, an impressive gathering of more than 500 Dartmouth alumni entrepreneurs. While I was traveling, our incoming students were on trips of their own – First-year Trips, of course, organized by our terrific DOC trip leaders. And just last week, I welcomed our newest class of students – the Class of 2020 – at its first class meeting. In Peru, in Silicon Valley, and back here in Hanover, the energy and enthusiasm for Dartmouth is palpable. It’s what I love most about being part of this institution. Eager students, passionate educators, engaged alumni. It’s a truly magical combination that invigorates our entire campus community, including me, at the start of every academic year. You can’t possibly walk by Robo Hall the week before classes begin without sharing in the excitement of our trippees, dancing up a storm with the “H croo” in their colorful attire with a style all their own. 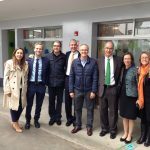 And as I listened to our talented alumni in Peru and San Francisco talk about their experiences, I was struck, once again, by how they carry that excitement with them as they disperse from our Hanover home to every corner of this globe to make a profound and positive impact in their chosen fields. Yet the journeys of our alumni don’t begin after they graduate from Dartmouth. They begin upon arriving at Dartmouth. While many students will travel the woods of New Hampshire and around the globe during their time at Dartmouth, the most life-changing part of their journey will come via the intellectual exploration and personal growth inherent in a Dartmouth education. Dartmouth’s amazing faculty, distinguished by their commitment to the teacher-scholar model, offer students the opportunity to delve into new subjects, to grapple with complex problems, to test their assumptions and to discover new passions. 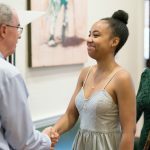 It is this cumulative journey through Dartmouth that leads to an enlightened, conscious mind and gives our students the confidence to take on the challenges of the world with the same unbridled energy they bring with them to their very first day on campus. It is an excellent creed for Dartmouth, and I hope and expect that every member of this community will live up to its aspirations. Fall term is here. And just like that – the journey’s underway. It’s always an honor to see our first-year students matriculate. 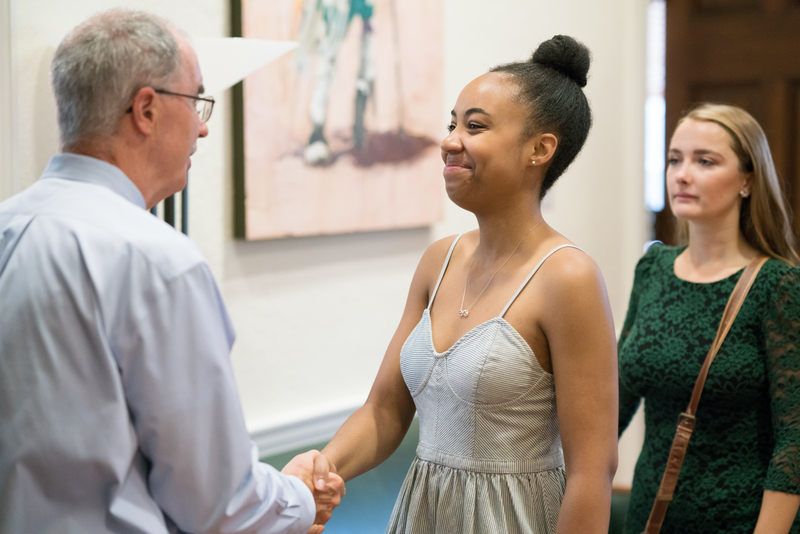 During matriculation, students sign the Dartmouth Citizenship Pledge before joining me in my office, where I am eager to meet them and share some brief remarks the day before classes begin. 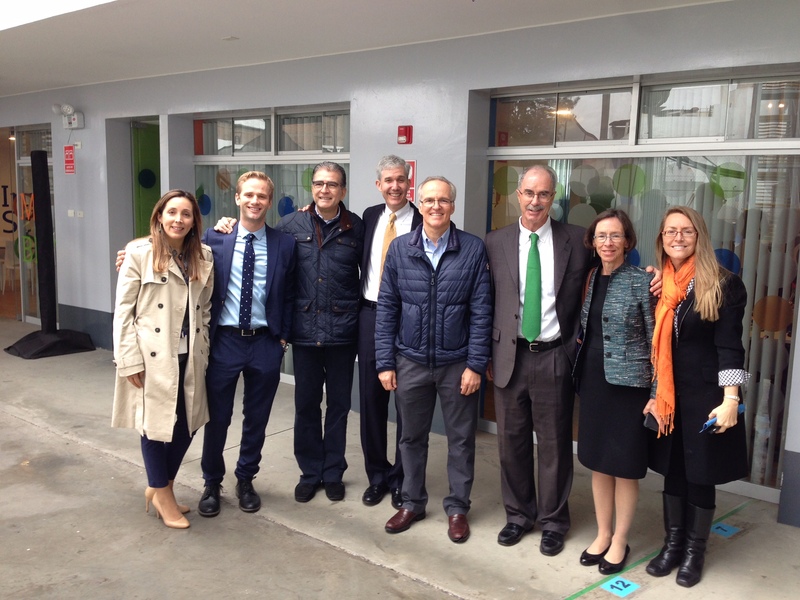 In Peru, we had the privilege of visiting several Innova Schools founded by Carlos Rodriguez-Pastor. Much like the San Francisco DEN event, the importance of creativity and innovation in educating and preparing students to lead in the 21st Century was very much top of mind with leading educators in Peru. 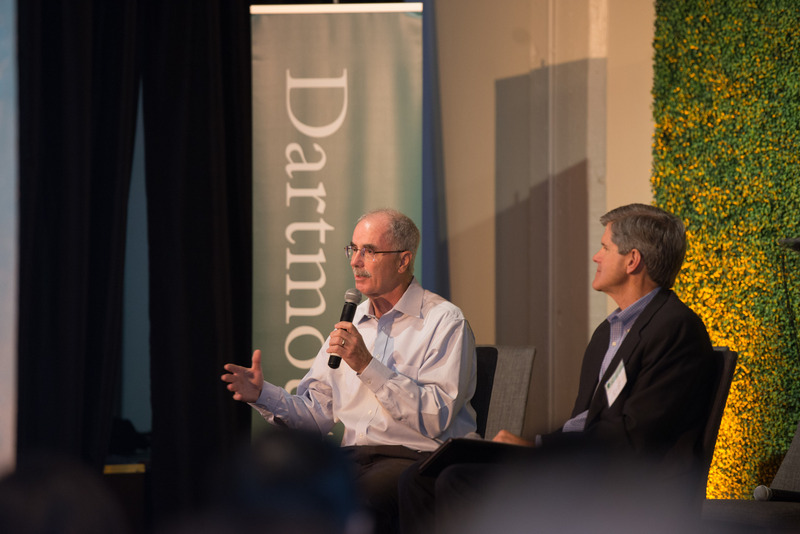 I was thrilled to participate in a fireside chat with Jeff Crowe ’78 before an incredibly energetic crowd of more than 500 Dartmouth alumni entrepreneurs in San Francisco, all of whom were eager to hear about Dartmouth initiatives focused on creativity and innovation and our growing emphasis on experiential learning. 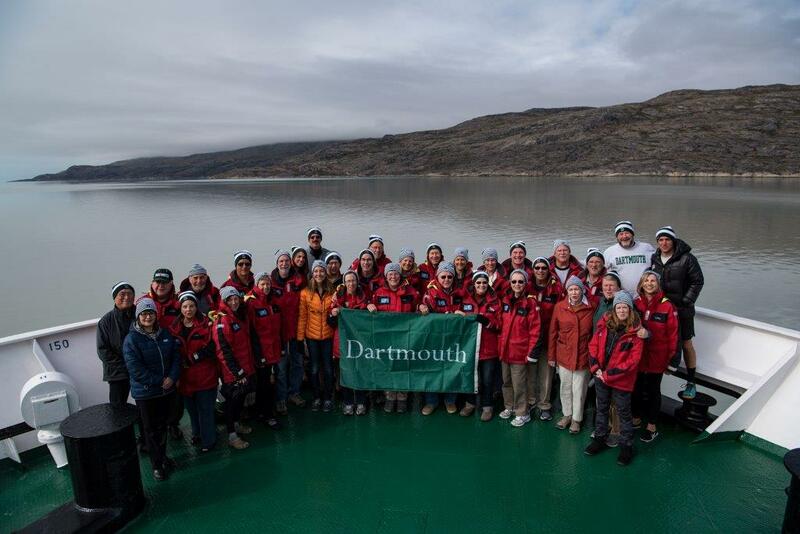 We may have been in icy waters, but the warmth of the Dartmouth fellowship was felt by all. Ross and I discussing one of his lectures on board. Up close and personal with humpback whales. 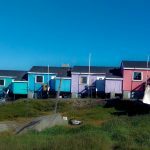 On land, brightly painted houses presented eye-popping color against a clear blue sky. 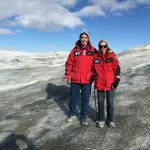 Gail and I on the ice sheet. 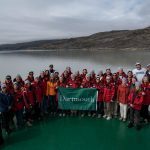 Our Dartmouth cohort put the “(Big) Green” in Greenland. What an adventure! 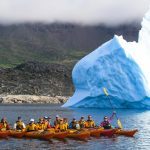 We just got back from our Arctic trip to Baffin Island and Greenland, where we had the pleasure of joining a group of alumni and Dartmouth Professor Ross Virginia on a truly memorable voyage. Seeing the beauty of the Arctic first-hand was a remarkable experience, but not nearly as remarkable or inspiring as witnessing Ross’s outstanding research on the arctic ecosystem near Kangerlussuaq, Greenland, where he and his students are seeking to explain the impacts of climate warming on soils and greenhouse gas emissions and the causes of the widespread erosion and loss of vegetation that are evident on the landscape. 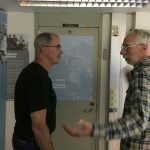 We also learned of Professor Bob Hawley’s work with students in Illulissat on fluid dynamics and glacial flow, studying how groundwater lubricates and impacts the flow of glaciers into the sea and, in turn, the mass balance of the Greenland Ice Sheet and future sea level rise. Without a doubt, this trip highlighted something I’ve learned in hundreds of meetings with faculty I’ve had during my time as president, and that is just how impressive our Dartmouth faculty are. At every turn, they amaze me with path-breaking basic research and with applied research that touches every corner of this globe. Equally impressive are the ways in which they integrate students – from the earliest undergraduates through graduate and professional students – as they push the frontiers of knowledge. There were approximately 50 passengers aboard the boat, including 30 or so from Dartmouth, the youngest a current student and the oldest a member of the Great Class of ’57. (Incidentally, it was the latter who owned the arctic plunge pool on deck…think “Polar Bear Swim” in Occom Pond, only three times as cold!) 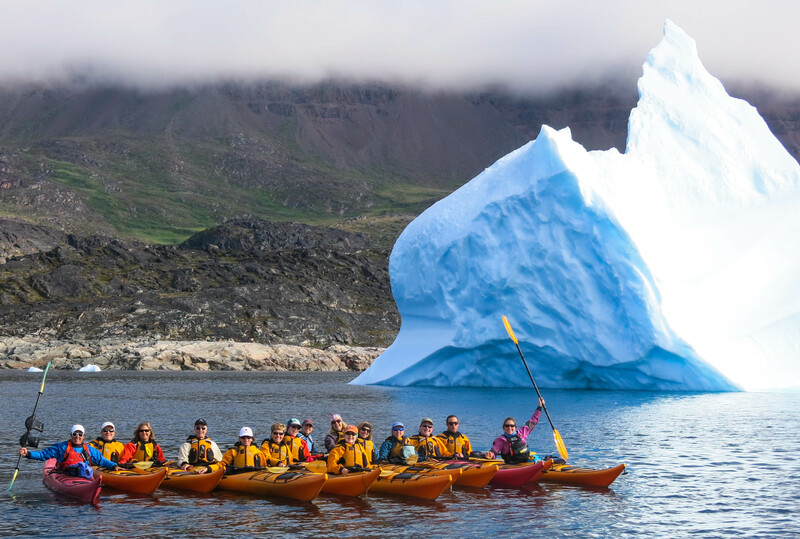 It’s safe to say that our Dartmouth contingent set the standard for the adventuresome spirit on board, unafraid to jump into our kayaks and brave the icy waters to get a closer look at the icebergs, and boy did it pay off. 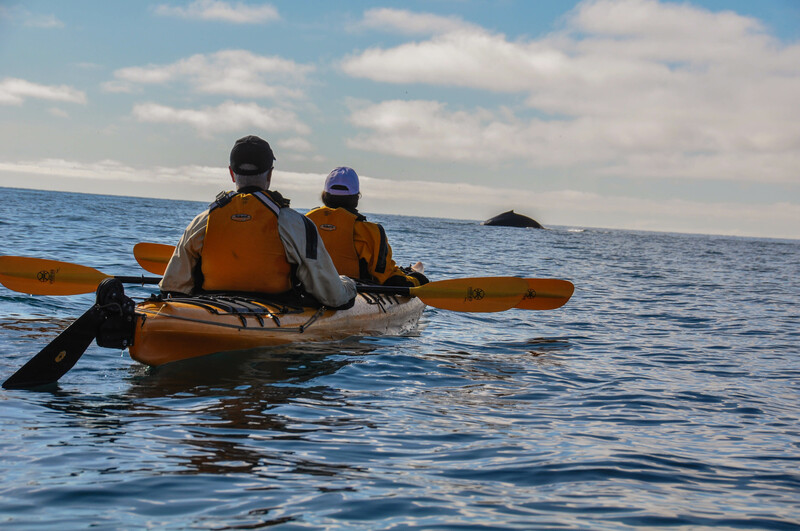 On our first day out, we befriended two humpback whales who seemingly took keen interest in us, circling our kayaks and treating us to an incredible display of their power and beauty from only about 15 yards away! It’s a moment I’ll never forget, mesmerizing to say the least. While en route, I was happy to provide our Dartmouth cohort an update on the goings-on at the College, and while on board, we had the privilege of taking in three lectures by Ross. One was focused on climate change; another presented a historical look at famed Arctic explorer Vilhjalmur Stefansson, who spent the latter part of his career at Dartmouth and whose extensive collection of papers, housed in Rauner, are among the most globally significant academic resources pertaining to Arctic exploration in existence; and the third centered on the ecology of the arctic, the specific focus of Ross’s most recent research. 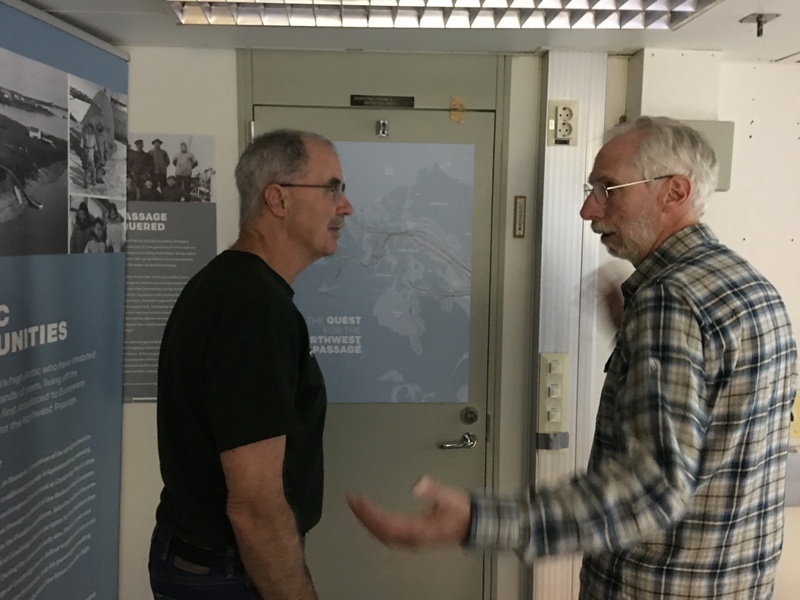 We also heard from several naturalists traveling with us, including a polar bear expert, all of whom were engaging, insightful and passionate about the Arctic region and eager to share their perspectives on the far-reaching effects of climate change. With the Arctic warming twice as fast as the rest of the world, there is still so much to learn and so much at stake. Yet the biggest take-away for me was the urgency and delicacy with which the we must approach issues of energy, environment, global governance, security and healthcare in a region so crucial to the world and in the midst of such rapid climate change, and the role Dartmouth can play in helping to pave the responsible way forward for its people and the planet. It is a grand aspiration, though one that I believe is well worth the commitment. I’m guessing you never thought I’d be the type to blog. Well, I wasn’t sure I was either. But I’ve heard from many of you that you’d like to hear more from me about my perspective on topics affecting Dartmouth and higher education more broadly. And I’m listening. So I’d like to use this forum to address some of the issues and happenings at the College, and those that affect the College. I want to share a little more of my thinking on these topics, many of which are complex, and almost all of which involve competing considerations. In so doing, I hope my posts will get you thinking along with me. And since we all know that Dartmouth is fun, don’t be surprised if I occasionally post about things I see or hear on campus or in the course of my travels that make me proud, get me excited about where we’re headed, or remind me of why this place is so incredibly special. I haven’t yet decided on a name for the blog, but when I do, I’ll reveal it here. How’s that for a little suspense?! 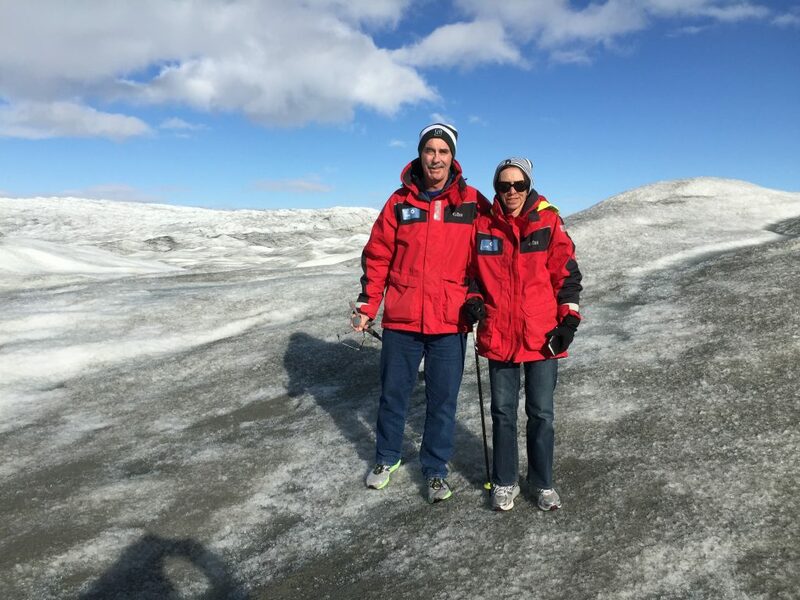 This month, Gail and I will be embarking on two exciting trips that showcase Dartmouth’s global reach and impact, both through our research and discovery and through the work of our talented alumni. After that, Gail and I will be back on campus for a short time before heading south to Peru. While we’re there, I’ll be meeting with one of our newest Trustees, Carlos Rodriguez-Pastor, who is a graduate of Tuck, Class of ’88. I’m looking forward to spending time with Carlos. He’s a remarkable businessman and philanthropist who leads with creativity, foresight and a tremendous amount of good will. You can read about his incredible journey to becoming the head of one of Peru’s most successful companies, comprised of seemingly disparate businesses, in this Tuck Today article from last December. He’s deeply passionate about education, as well, having started a network of affordable, high-quality schools in Peru to empower the growing middle class….and he’s got a great sense of humor. So, I’m looking forward to trading insights with him and sharing a few good laughs over a chicha morada or, better yet, a cremolada or two. As avid hikers and outdoor enthusiasts, Gail and I are also excited to be extending this trip (on our own dime!) to include a tour of Machu Picchu. And I’m definitely bringing my selfie stick on both trips, so stay tuned for what I’m sure will be some fantastic photos….from the shores of Greenland and the mountains of Peru. 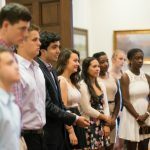 So, as I think about my summer at the near mid-point, it’s very much like the student experience at Dartmouth – a mixture of time spent here on campus, focused and looking inward…and time spent turning outward, experiencing the broader world. We all know what a powerful combination that is! 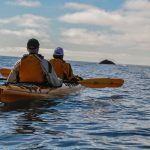 And as I tap into the adventuresome spirit that serves as a defining characteristic of the Dartmouth experience – not just in preparation for my travels, but in launching this blog, I hope you’ll come along for the ride. I aim to post a couple of times a month or when I’ve got something interesting to share, and I expect to invite occasional guest bloggers to the page, as well. I welcome you to share your thoughts about the blog at any time through e-mail at President’s.Office@Dartmouth.edu.